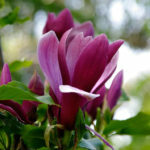 Magnolia liliiflora ‘Nigra’ is a spreading, medium-sized, deciduous shrub up to 13 feet (4 m) tall, with glossy elliptic leaves up to 8 inches (20 cm) long. 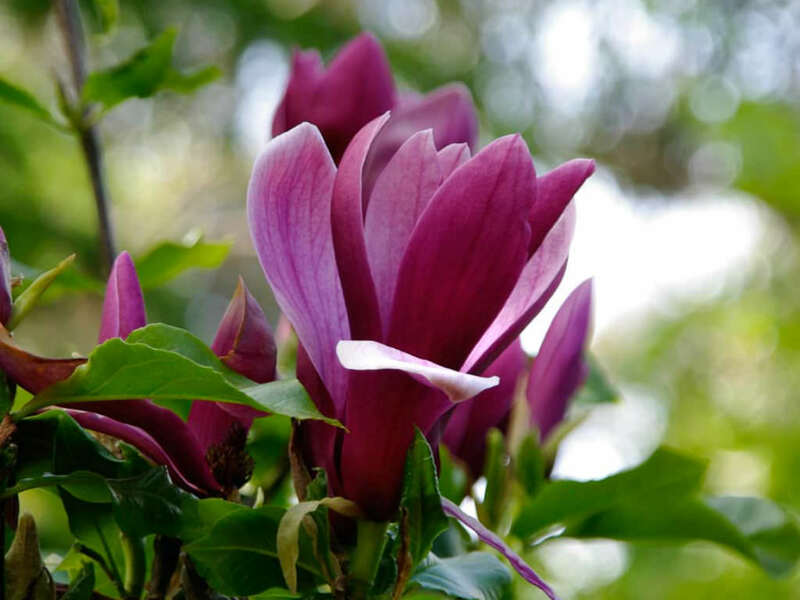 The flowers are erect, narrow and fluted in bud, deep purple outside, opening to reveal creamy-white stained purple insides. 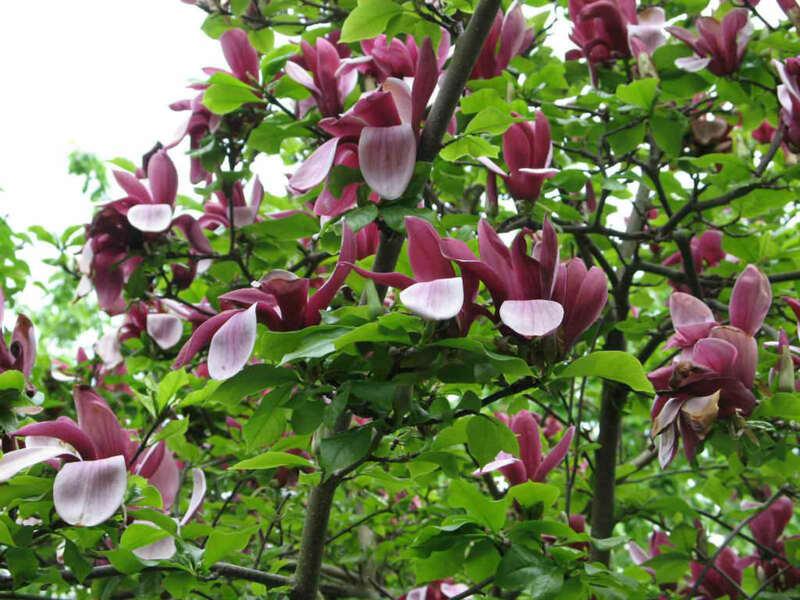 Flowering from late spring, the shrub continues to flower intermittently through the summer. 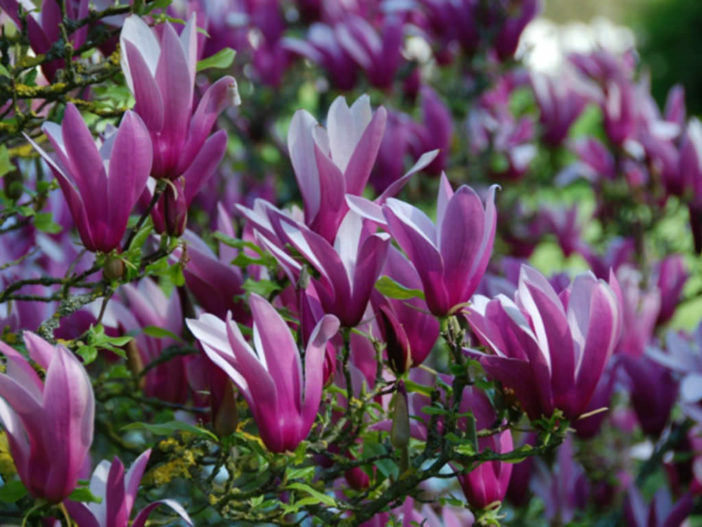 Some varieties of Magnolia don’t bloom until 15 years old, so be sure to choose one that’s fits your needs and expectations. 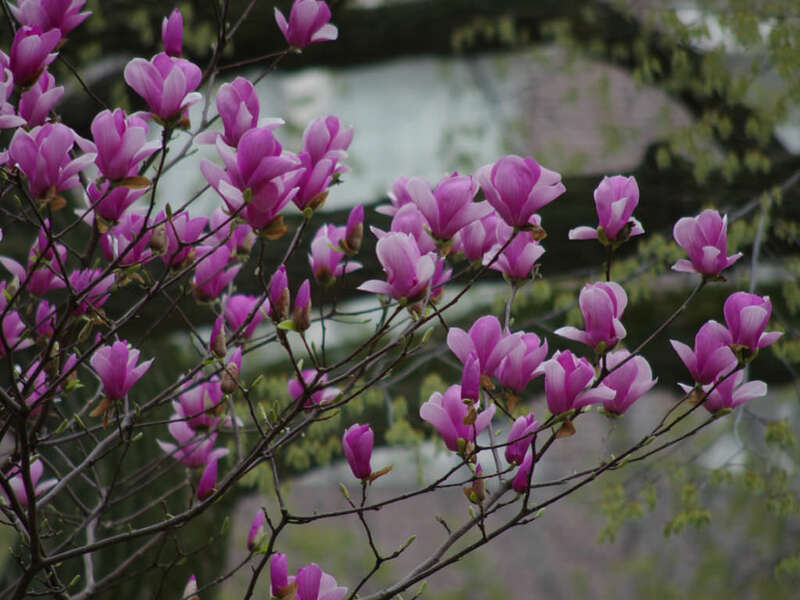 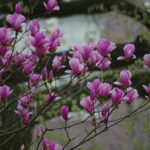 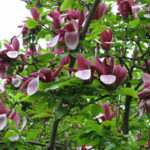 Grafted plants (rather than seed-grown) bloom sooner… – See more at: How to Grow and Care for Magnolias.